Well since steve and a few others asked my to start my own thread here it is. Here are most of the older pics and new ones from this weekend. I also posted updated in this thread before starting this. Made a ton of progress on the Bronco over the weekend. It got the nick name grave digger since it's sitting a little tall right now ... haha Gonna change out the front coils and have Deaver de-arch the rears. I want the thing to sit low and wide. I still have quite a few things to do to it in the next couple of days and weeks. Had to get it driveable since I sold my 06 F150 to Drew at the shop. 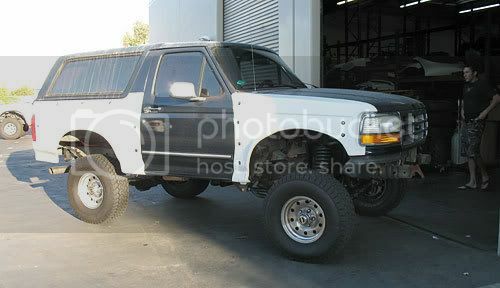 Still got to finish up the front and get the Bilstein 7100's mounted up. I'm running duals up front. 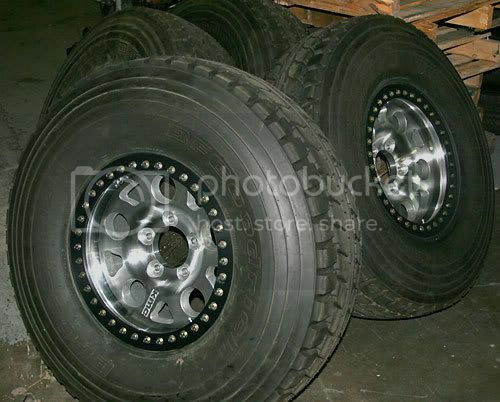 Also got to get 5/8" wheel studs on the truck so I can mount up my 37" rims & tires. 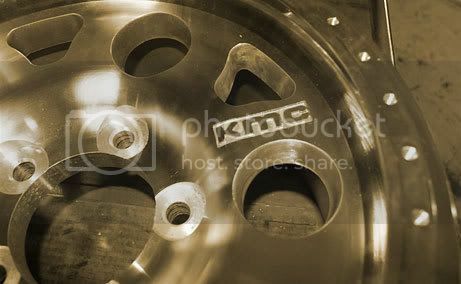 The stock studs are 1" long and my wheels are 1" thick. I put about 35 hours worth of work into it after work fri-sun. I'll post more pics as I make progress. Looking good Scott! I thought for sure you'd go with a coil-over. Any plans to upgrade? 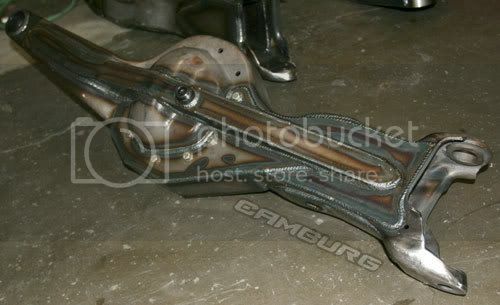 does camburg make custom length front axle shafts? 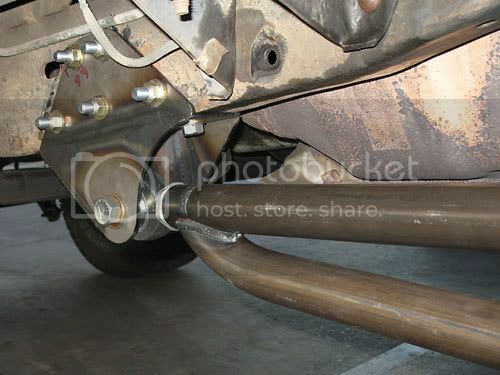 is there a reason i've seen several people now running f150 springs vs bronco springs? I concur on the welds. 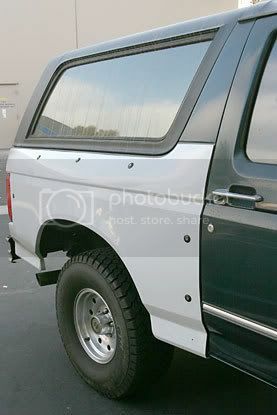 I understand the F150 springs are "flexier" than the Bronco springs. 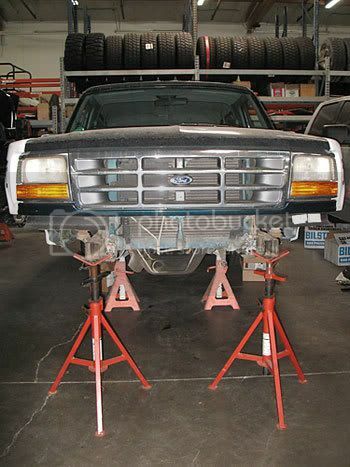 loook forward to seeing the front suspension photos...since thats what I'm working on now. 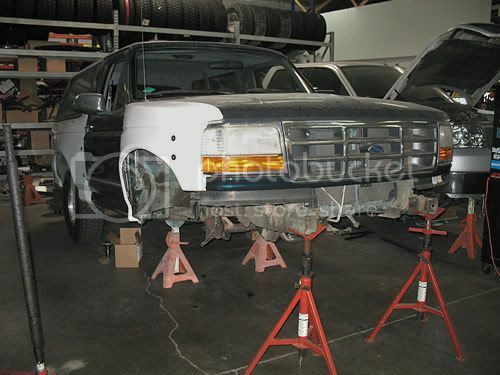 Bronco Info: 1990 RIP...95 in the works. Sweet build! Keep the updates coming! You get more travel from the 2.5 spring. Allthough i'm pretty happy with my 3.0's. The wider spring resists sway better. 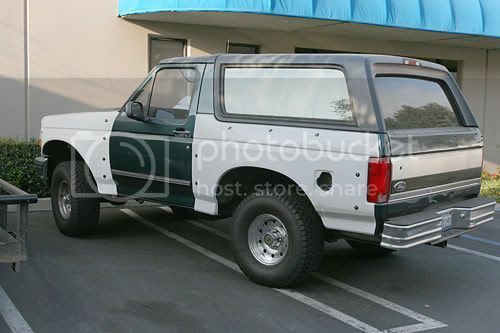 They do get more travel , but a big factor for me was that Deaver dosent make the 3 inch lift bronco spring anymore,only the 6. And I stopped using National Spring after they changed owners a few times and started selling fabtech and rancho stuff. You can also run uniballs in the 2.5" springs too. We will see how long they last. Steve is right about the sway, but its not to bad. Oh Scott, before you have those re-arched fill the tank,throw in a spare tire, and take those wedge blocks out. Just move the rearend pads for pinion angle cause those cast pads shear the lineup pin sometimes, plus it will be an inch lower. Should sit perfect. 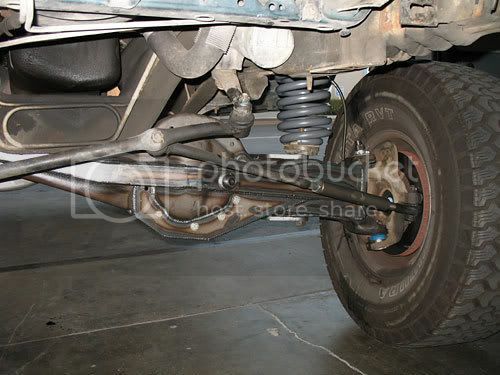 I've toyed with the idea of running Baja Bushings in my 1995 with 2.5" wide Deaver springs. Steve ... I plan on setting it up for coilovers down the road once I cage it. Until then I'll run the Bilstein 7100's. 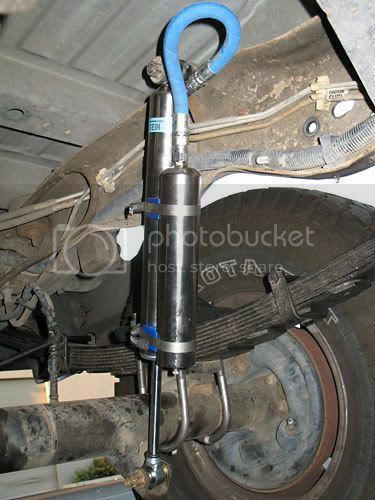 Shane @ Bilstein set me up with some custom valving so it should work pretty good. 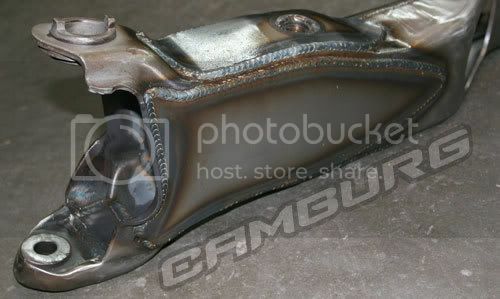 Here are a few pics I snapped today when I was installing new front calipers. Should get the different front coils in the next day or two and then I'll mount up the front shocks. 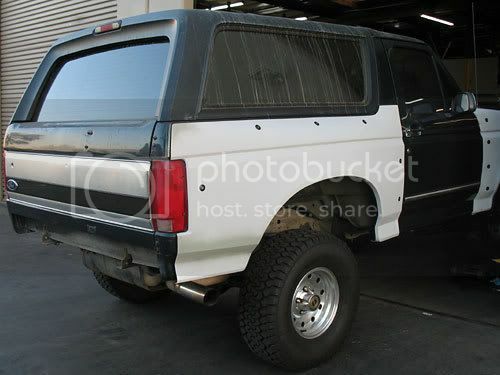 The rear of the Bronco feels completely different, so far I'm really happy with it. It actually moves up and down now !! It's still a work in progress. Jason here came up with some ideas for front hubs so you might see something pretty trick. He did something similar for his explorer he built. are you taking it to chase the 1000??? I never knew TTB parts could look so pretty. Nice looking project man, keep us updated. Did you do the tubular frame for the front fender mounting or ? GKR yea I built the core supports when I installed the front glass. Thanks 4 the comments everyone. Its awesome to see it coming around. Scott, nice work on the rig. Can't wait to see the progress. A real quick newb question... how do you get the metal to change colors like that? 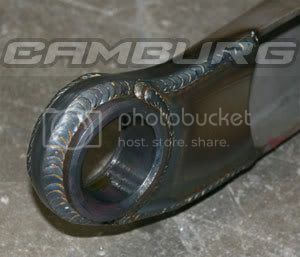 I know the welding will make it change a little, but is it just because the welds are so good? also, do you paint over those? I think the beams look look awesome. Will you have it up for the poker run at the end of the month? Havent made much progress since we've been getting ready for this weekends Offroad Expo show and the BITD race the same weekend. The colors you see are the heat marks from the MIG welding. You can tell it's not a cold weld that way or triggered. That's what gives it that awesome look. Id like to keep them raw but they will rust quick down here by the beach. Not sure when the 1st trip out with it will be, I still have a lot of work to do to it to get it to that point. 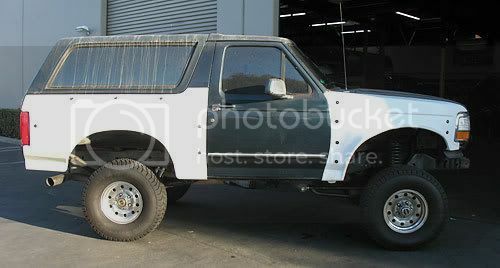 I tried a PM, but I'm wondering if your 5" lift is a Camburg and, if so, if you're fitting those 35's without the use of aftermarket fenders. I'm loving the updates and trying to keep from jealousy.